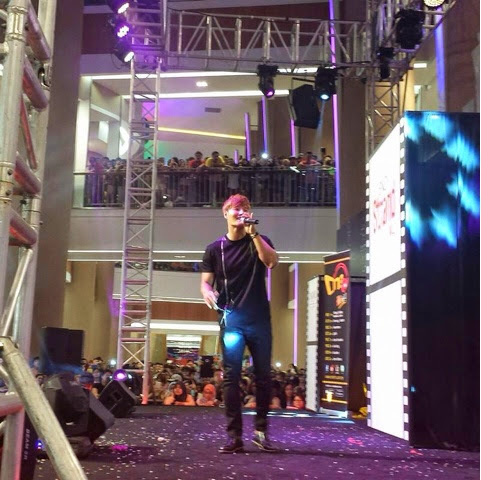 Kim Jong Kook live in Malaysia! The Running Man star has been invited for this grand opening at Encorp Strand Mall. It was reported that many fans attended this event to support him. During his performance, he sang - All the men are like that and Loveable. When he took off his sunglasses to revealed his charming small eyes, the audiences were squealing loudly with excitement. Before the event, Kim Jong Kook was reported sick after the trip to Indonesia. Because of that, many fans in Malaysia are worried about his health condition which may affect his upcoming schedule in Malaysia. Fortunately, he recovered just in time to attend this highly anticipated event. He appears to be well and full of energy onstage. Not surprising, Kim Jong Kook gave a short interview on stage in English. 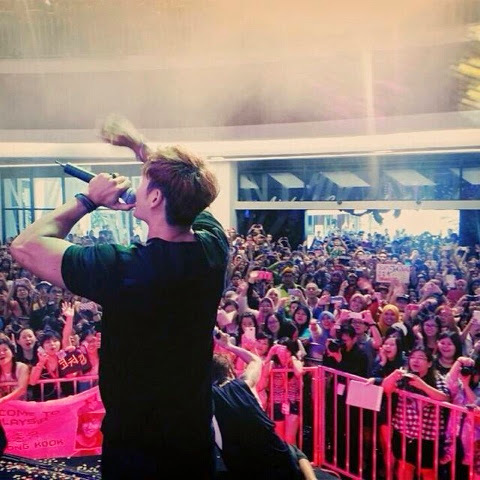 After the event, Kim Jong Kook thanked his fans at Instagram. He stated that his fans in Malaysia make him feels like home whenever he visited and promised that he will come back soon. That was really sweet of him to make the effort to express his appreciation for all his fans. Look at the crowd gathered at the event! That is really amazing isn't it? The food was hands down the best wedding food I have ever tasted. We had many of our guests come up to us during the reception and comment as to how delicious the food was. When Kim Jong Kook (Tiger) met a real Lion!